The vast majority of us aren’t always too quick to turn off our devices every time we leave our desks or walk out of a room. Instead, computer monitors, printers, lamps and the like are either left switched on or on standby, sapping power and wasting money. Birkeland Current‘s RFID-controlled Pinch system, however, provides a seemingly fool-proof system that can save a potential 35 percent of energy usage. With no set up required, the Pinch will automatically power down your devices when you walk away, and boot them back up upon your return. From there the Pinch was born. 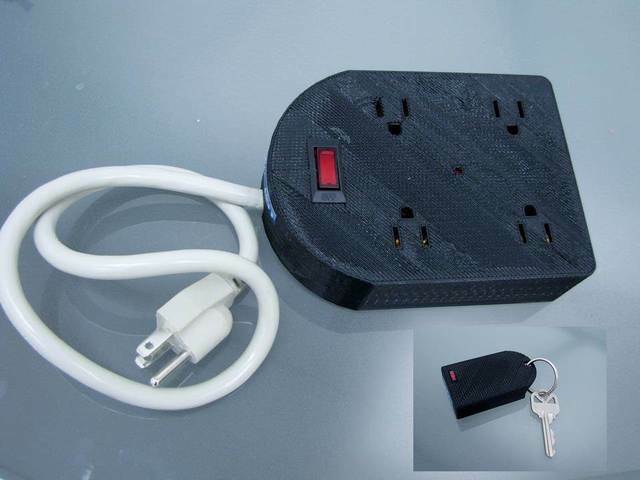 Available as a power strip and a light switch, the system provides the user with a RFID proximity tag. So long as the user carries this small tag with them, the power strip (or light switch) will recognize when the user walks away, and power down, and similarly power back up upon the user’s return. The Basic Pinch is pre-programed to turn off three of the power strip’s four outlets, presumably to avoid needlessly stressing one’s CPU with hard shutdowns, while still enabling one to switch off monitors and other energy-sapping peripherals. For those concerned about privacy, the tag communicates only with its corresponding power strip or light switch. Birkeland is currently raising funds on Kickstarter to put the Pinch into production. As the company looks to move from 3D-printed prototypes to mold-injected production, the company is also looking to gain FCC approval for in-house designed modules. An optional reader available through Kickstarter allows users to “monitor, trend and report energy use, energy cost, and operating metrics for each device plugged into the Pinch,” seeing their savings in real time. The vast majority of us aren't always too quick to turn off our devices every time we leave our desks or walk out of a room. Instead, computer monitors, printers, lamps and the like are either left switched on or on standby, sapping power and wasting money. Birkeland Current's RFID-controlled Pinch system, however, provides a seemingly fool-proof system that can save a potential 35 percent of energy usage. With no set up required, the Pinch will automatically power down your devices when you walk away, and boot them back up upon your return.